Samsung released a huge update to its latest flagship phone, the Galaxy Note 5, taking it to Android 6.0.1 Marshmallow update. It’s a jump from the 5.1.1 Lollipop firmware and Samsung seems to have skipped the Android 6.0 one. Besides the Note 5 device, Samsung Galaxy S6 and S6 Edge were among the first devices to have received the update from its manufacturer. The Marshmallow OTA update comes to the Note 5 for the SM-N920C for now with baseband number N920CXXU2BPB6 and comes with many new features along with the latest TouchWiz UI. As it comes to Cambodian variant, it is not long that the update will roll out for other regions soon enough. The update is rolling out regionally and soon you can see the update pop up on your device. There are two methods to flash the update. First is the usual Odin method that will perform a clean full firmware install and second is the OTA method. The OTA method generates an update notification OTA notification and you perform the usual over the air update without losing any data. Follow the instructions below and take a look at the two methods from below. 1. Verify your device for compatibility. Check out the download section. 5. Backup everything before you proceed. Odin performs a clean install, that you will lose apps, data, media, etc. This is an old way and a bit complex process. It’s better you use the Odin method from above. 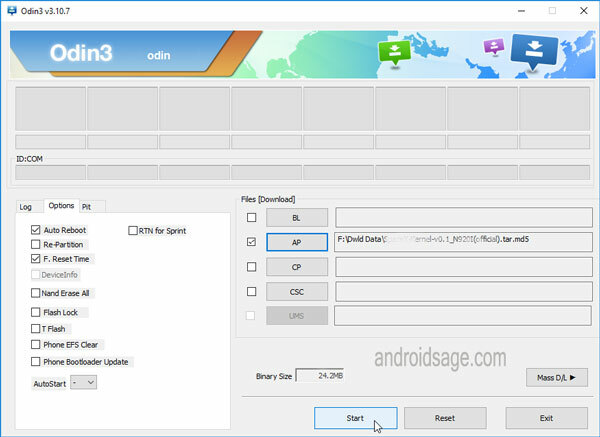 Step 1: Make sure you are on latest OK7 Android 5.1.1 Lollipop firmware or flash it via ODIN. Download it from here. Step 2: Go to settings and check for updates. Step 3: Root your device and Install root explorer or any file explorer that supports root like ES Explorer. Step 4: Go to /efs/imei/mps_code.dat -> edit -> and replace file content to CAM. Step 6: Re-flash the firmware OK7 with region CAM via ODIN. Step 7: Reflash firmware OK7, region CAM via ODIN. Step 8: Go to recovery and wipe. Step 9: Check for updates now and voila, it should download a big update ~ 1.3GB.